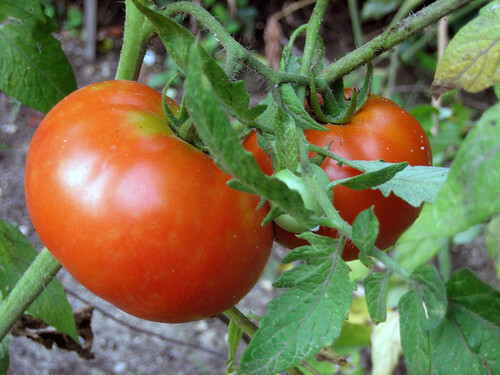 Can You Grow Tomatoes From Whole Tomatoes? The seeds contained in a fresh tomato look just the same as the seeds in a seed packet bought from a garden supply store. Under the right circumstances, these seeds can grow into tomato plants for next year's garden. So this summer, before you eat the last fresh tomato from the vine, think about using it to start plants for your garden. 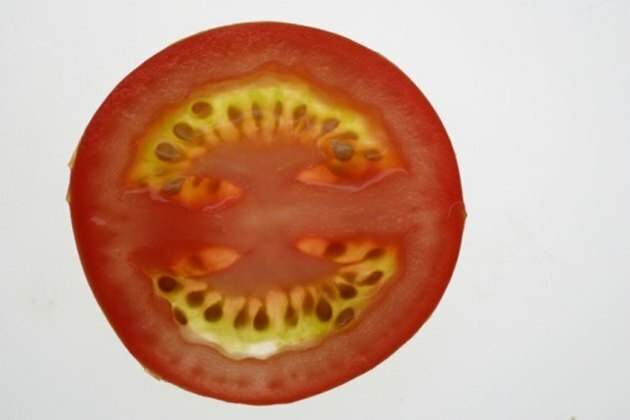 The seeds in a tomato are mature. The seeds from tomatoes are ready to germinate almost before the tomatoes are ripe. This happens because tomatoes are tropical plants; in areas where there is no winter weather, they would continue to grow and bear fruit. Since in its native habitat no extreme temperature would kill the young seedling, the seeds do not need a time of dormancy. The only inhibitor is the presence of a hormone in the gel surrounding the seed. Remove this, and the seed will usually sprout under conditions containing warmth and moisture. Tomato seeds need moisture to germinate. Keep them wrapped in a damp paper towel under a plastic covering to hold in the moisture. Watch the seeds for about a week, and you should see root sprouts emerge. For garden seedlings, plant the tomato seeds in a light-weight, seed-starting mix. Provide fresh tomato seeds with the same temperature they would have in their native environment. This is easy in the home where the normal temperature fluctuates between 69 and 75 degrees Fahrenheit. Keep seedlings indoors until the outside temperatures are in the 70s and the soil temperature is at least 65 degrees Fahrenheit. Provide bright light for the new seedlings since they need to start the process of photosynthesis quickly after germination. Once the little green leaves emerge, they need bright light as would be found in the tropics. Northern gardeners might have to supplement the light from a sunny window with grow lights, since the angle of the sun in early spring causes a less intense light. Provide the sprouted seedlings from the fresh tomato with clean soil made from equal parts of dampened peat moss, perlite and potting soil. The inside of a tomato provides a sterile environment for the seed, and you don't want to start problems by using a soil that might be contaminated with fungi spores. Once the tomato plant matures, it can tolerate the fungi and microbial activity of the typical garden.